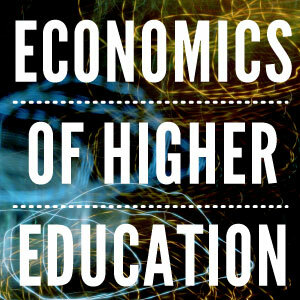 Higher education in 2013: the year of marketisation – but to what extent? This year has been a significant one for UK higher education, with the government rapidly moving the system away from a state-controlled sector towards a more marketised structure – to the applause of some and the growing malaise of others. Market success: The year began with many worried that the drop in participation experienced in 2012 as a result of the increase in tuition fees would continue. So the sector breathed a sigh of relief with the UCAS announcement that application rates for English 18-year-oldsincreased by one percentage point to 35% in 2013. This was the first, albeit tentative, evidence that the university sector was still set for growth, despite the increasing costs faced by students. Market failure: A feature of a healthy market is that price reflects the quality and demand of a product. Currently, this is not the case in England with 98 universities planning to charge a maximum fee of £9,000 for at least one of their courses. This, in spite of initial assurances from the government that universities would charge the maximum only in “exceptional circumstances” as they would be under “competitive pressure” to cut costs. Is this an attempt to convince students that student debt is not a problem, or that education is a Veblen good (where price is a signal of quality)? Market success: UCAS figures for 2013 showed that those from the most disadvantaged backgrounds are more likely to enter higher education than previously. The free school meal entry rate to universities charging the full £9,000 fee increased by 22%. This suggests that the government’s message that tuition fees are repaid after graduation on an income contingent basis has got through, and that poorer students are not being put off by concerns about debt, as many feared. Market failure: Clearly, some students still do not understand the system. For example, the number of English students enrolling for courses in Scotland saw another rise, despite the fact that many Scottish universities are more expensive than English ones. Scottish universities can charge English students £9,000 per year, but in Scotland a typical undergraduate course lasts for four years instead of three. So this surprising statistic seems to imply that many students still do not understand the finance system – or that demand for higher education increases with overall price, not just price per year. Market success: Key to a marketised system is a flexible system, with different types of courses and institutions designed to meet the different needs of students. Accordingly, the government offered students on part-time degree courses subsidised tuition fee loans for the first time in 2013. This was intended to encourage more part-time and mature students into the sector and further develop their skills. Part-time study is highly popular in the UK, with nearly half a million undergraduates choosing this method of study in 2011-2012. Market failure: A Universities UK study on the issue of part-time students highlighted stark falls in part-time attendance, with numbers falling by 40% between 2011 and 2012, and no likelihood of a recovery in 2013. A “perfect storm” of conditions were cited, including employer demand dampened by the recession, and the 2012 changes to the funding system and associated fee increases. Market success: For prices and information to be converted into a functioning market, supply must also become flexible. A further step towards marketization came in 2013 as the threshold for exclusion from the student number controls lowered to ABB or equivalent at A-level, allowing universities to recruit as many of the most talented students (some 110,000 AAB students in 2013) that they were able to attract. This would allow universities at the “top end” of the sector in particular to expand. Market failure: A threat to David Willetts’ expansion plans emerged as qualifications data for 2013 showed a further year of A-grade deflation, dampening the potential of this expansion measure. Rises in ABB-equivalent students came to the rescue of universities who sought to expand; surprisingly, some 30% of so-called ABB students do not, in fact, have A-levels, but some other kind of equivalent qualification, usually BTECs, and were therefore eligible for exclusion from number quotas. The universities able to expand due to these relaxations were not the traditional elite universities, but those that took on more vocationally-trained students. Market success: The awkwardness caused by the quasi-market of ABB students finally came to an end in December 2013, when George Osborne made a surprise announcement that the cap on student places – in place since 1994 – would be completely removed in 2016. This is the biggest step towards marketisation the higher education sector has experienced, with universities set to be able to expand and contract based on demand for their services, rather than government controls. Market failure: George Osborne announced that to fund the extra places that may be needed as a result of the reforms (the government estimate that 60,000 students achieve the necessary grades each year but miss out on a degree place) would be paid for by the sale of the student loan book. This announcement was met with derision from the sector, with the Higher Education Policy Institute among others accusing Osborne of running a Ponzi scheme since the returns from the student loan book likely to diminish over time, while the cost of financing student places every year will inevitably increase. 2013 has also seen an upward revision in the cost of unpaid student loans from 30% (March 2011) to its most recent estimate of between 35-40%. In summary, 2013 was the year when the government took big steps towards its goal of a marketised system, with the complete removal of student number controls the most significant yet. However, both its flagwavers and protesters will note that higher education is still far from a fully functioning market given the lack of price variation, the cost of funding student places and, perhaps most importantly, the inability of students to easily compare quality across universities. Moreover, in the interests of equality of access, the government will always need to support the sector through subsidised student loans, meaning there will never be a truly free market in higher education. Whether or not this is good news will depend on your point of view.